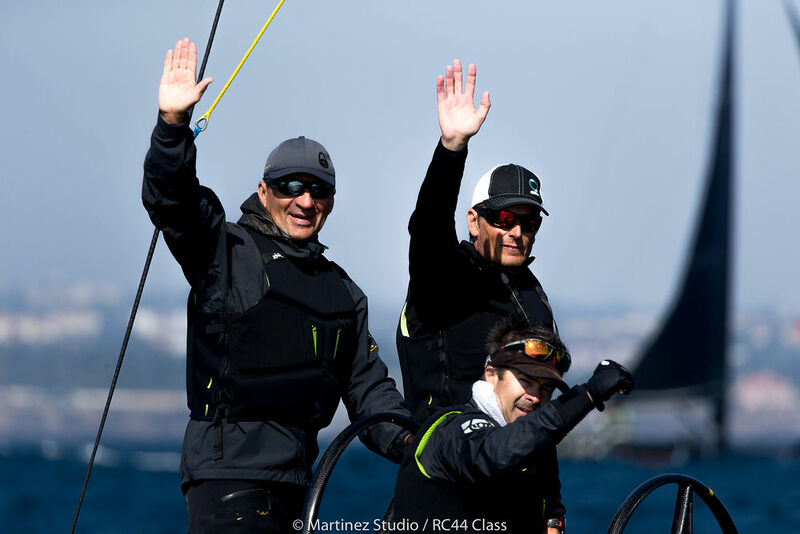 Team Nika became the first team ever to claim a hat trick of RC44 World Championship titles after Vladimir Prosikhin, tactician Dean Barker and their crew managed to fend off Igor Lah’s Team CEEREF on the final day of big conditions racing off Cascais. The two boats started the day with Team Nika five points ahead. 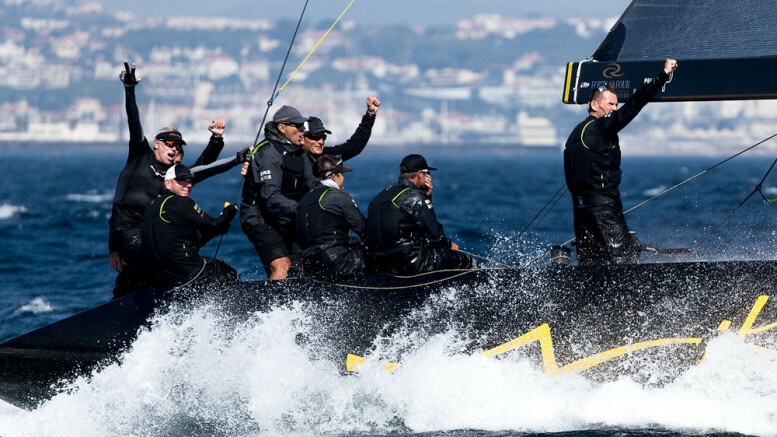 In 15 knot NNW winds, Chris Bake’s Team Aqua was fastest out of the blocks in the first race to become the sixth race winner at this World Championship. Meanwhile in the leader’s fight Team CEEREF closed the gap to three points. 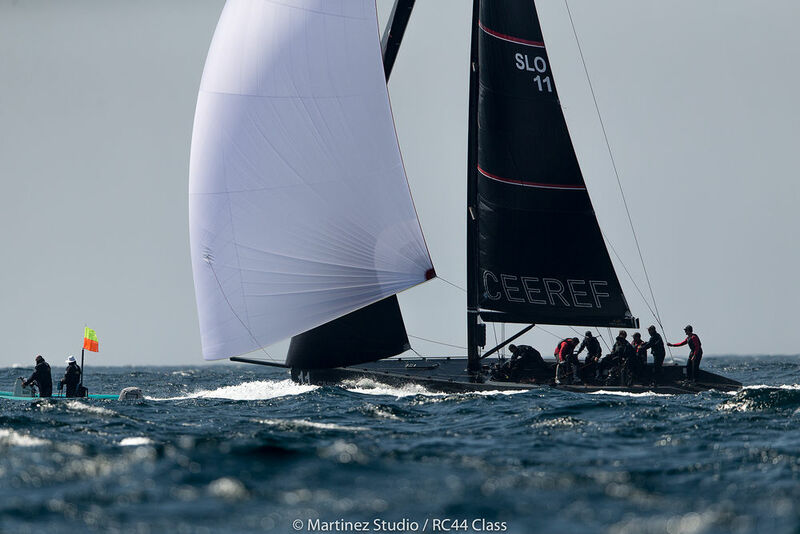 With the wind building to 20+ knots and the sea state increasing, Team Nika started the last race with a four points lead and ultimately ended the regatta in style. Winning the committee boat end at the start, she tacked, led out to the favourable right side. “Today the breeze was a lot more left-shifted in close to the shore,” explained Barker. 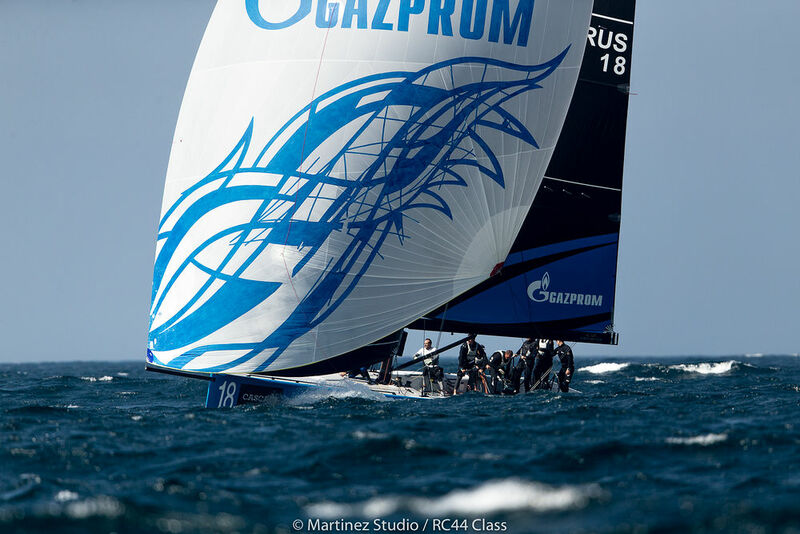 From there Vladimir Prosikhin’s team sailed conservatively enough in the building wind and sea state to claim the final race and win the RC44 World Championship title by six points. 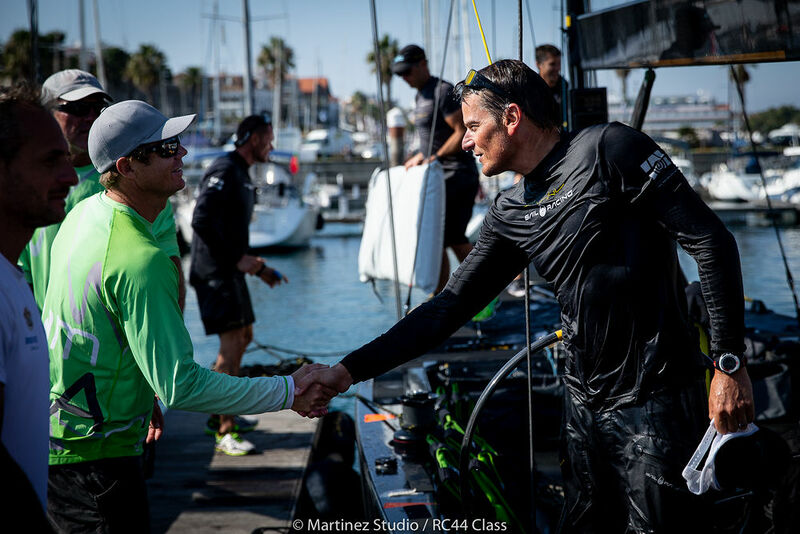 Team Nika’s tactician Dean Barker is becoming ‘King of Cascais’ having won here with Team Nika in 2015 and this year’s TP52 World Championship. 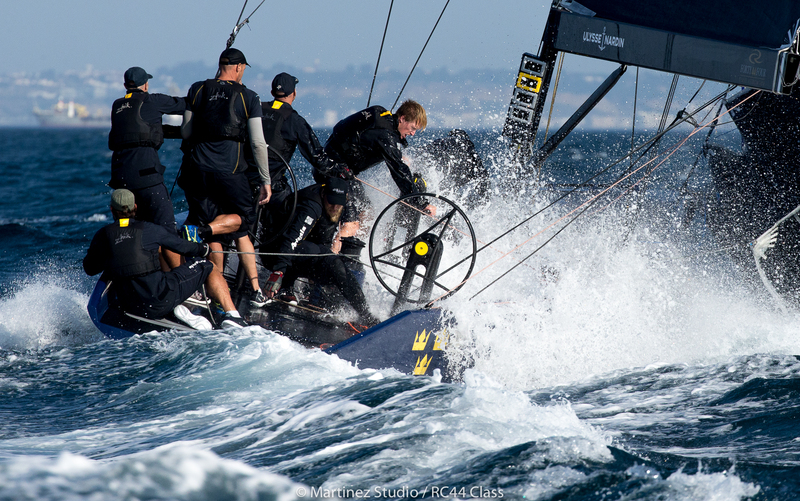 “Cascais has been pretty good to us this year. 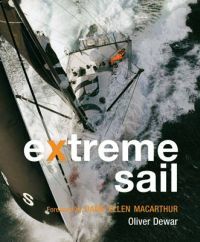 This week our speed seemed really good, upwind particularly and we put it together over the four days. Our crew work was very solid. We didn’t make any real mistakes. We ripped a couple of sails, but they managed to hold together. 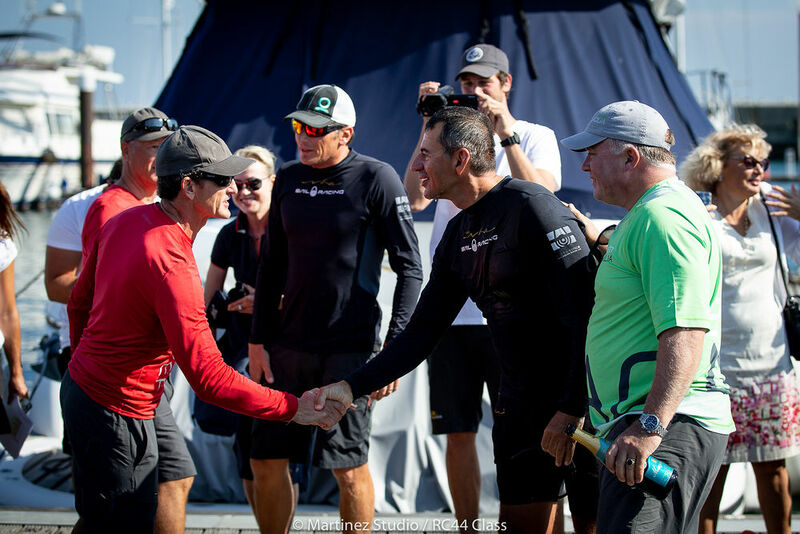 Bronenosec Sailing Team’s crew suffered near heart failure in the final race when their seventh place to Team Aqua’s second almost caused them to lose third overall, ultimately retaining this on countback to Chris Bake’s team. 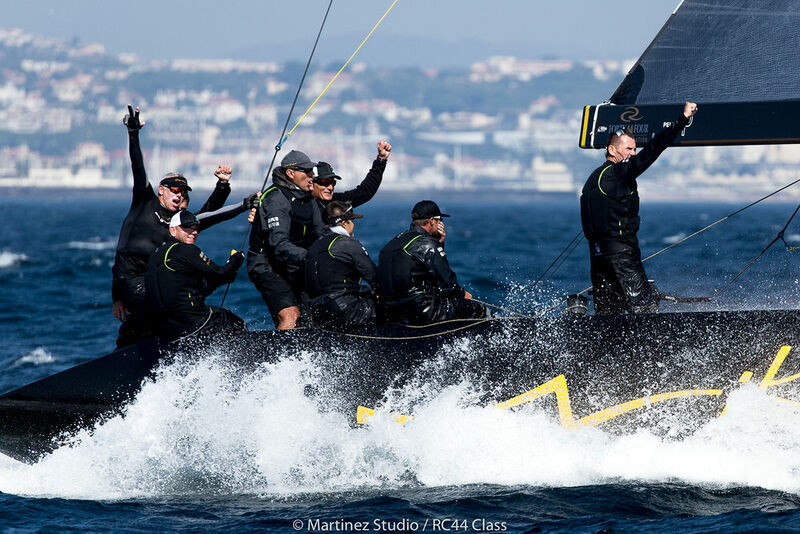 Elsewhere Hugues Lepic’s Aleph Racing and Torbjörn Törnqvist’s Artemis Racing both had better days while a sixth place overall for Nico Poons’ Charisma was not the result the Monaco-based Dutchman had hoped for to help his prospects for winning the 2018 RC44 Championship.